WIGHT LIGHTNING ! 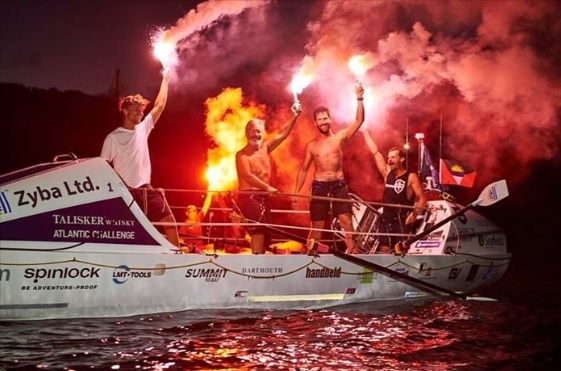 COMPLETE ATLANTIC ROWING CHALLENGE ! Congratulations! To Team Wight Lightning on their epic achievement ! 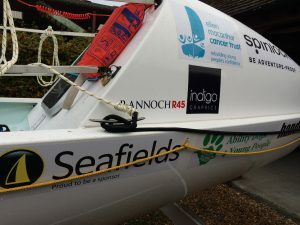 Islanders are among a group of four to successfully cross the finish line in an international transatlantic rowing challenge. Isle of Wight Seafields’ Director, Mark Brownjohn has crossed the finish line with his 3 heroic team mates! They’ve spent 37 days rowing across the Atlantic as ‘Wight Lightning’, a team of four taking part in the Talisker Whisky Atlantic Challenge. 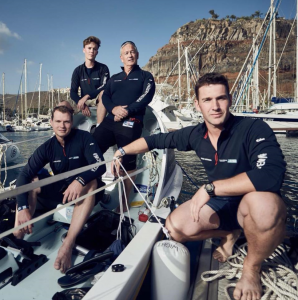 They began the journey at La Gomera on 14th December and, after spending Christmas and New Year’s rowing 3,000 miles, they’ve arrived safely in Antigua to complete the challenge – with family & friends waiting in Nelsons Dockyard. The challenge attracted participants and crews from all over the world. It’s described as “the world’s toughest row”.